The process of transferring liquid from one vessel to another is known as decanting and it’s what we do to create the vast majority of our fragrance sizes. Using lab grade pipettes we transfer the fragrances into the various sizes we provide then professionally label each one. We use spray top bottles for all of our sizes as this is by far the best way to apply fragrance to the skin. Most of the sizes we supply are small and tend to be disposable so we use plastic bottles which also eliminates any breakages during transit. Our larger 50ml sized fragrances are supplied in high quality glass bottles. So you can see there’s as much love put into the making of our samples as there is for the perfumes themselves. We wouldn’t want it any other way. Scent Samples are by no means affiliated with, sponsored or endorsed by the fragrance houses whose products we sell. Under no circumstances will we ever duplicate or replicate any brand logo or trademark when re-packaging or selling our fragrances. This is to make it clear that only the fragrance itself is that of the original manufacturer with the outer packaging being that which we provide. When purchasing fragrances from Scent Samples you will always receive a genuine fragrance that has been professionally decanted and suitably re-packaged unless otherwise stated. 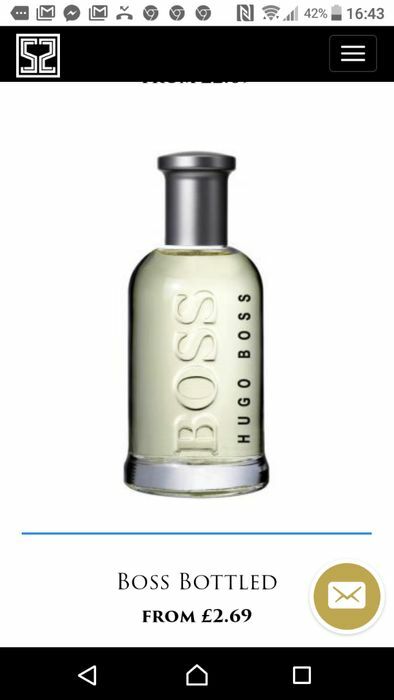 If any fragrances sold on the Scent Samples website are being sold in their original bottles, they will be advertised as such. What do you think of this Avon UK deal?